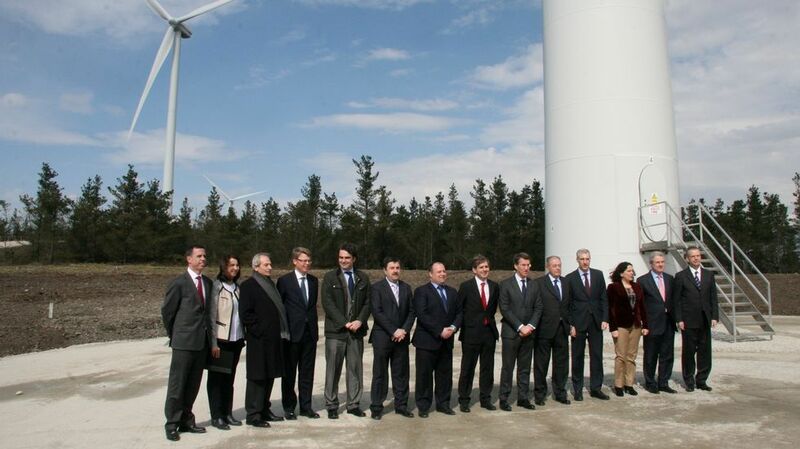 Yesterday was inaugurated in Spain the first wind farm that will operate without subsidies (1). In windy areas onshore, wind turbines are competitive with fossil fuel power plants – not counting external costs like new power lines, grid upgrading and back- up power. But as these costs are borne by the consumer, from a promoter’s point of view there is money to be made. In the case of Galicia, 800 million euros will be invested in four reversible hydro-electrical plants (to store the electricity produced by wind farms when not needed): Belesar III, Os Peares III, Salas-Conchas and Edrada-San Estevo. And the coal-fired power plant of Meirama will be upgraded to be used as further back up. The Cordal de Montouto project, in the State of Galicia, became operative on March 18th. It is owned by Gas Natural Fenosa (GNF) and is composed of 6 wind turbines. As windfarm subsidies were axed by the Spanish government in January 2012, it won’t receive any “primas”, the Spanish subsidies which double the cost of electricity produced by wind as compared to fossil fuels. More windfarms will be built in Galicia, Spain’s windiest region, amounting to 83% of those that were in the pipe-line for that State before the elimination of subsidies. Onshore, a capacity factor (or load factor) of 34.2% is needed for a wind turbine to be cost effective, says Salvador Gabarró, president of GNF. In Spain, this is expressed in averaged-out hours of optimal wind per year, i.e. 3,000 hours in this case: 34.2% x 8760 hours = 3,000 hours. For years, wind farms in Galicia have been raking in subsidies they didn’t need. They were actually being paid twice for the electricity they produced: once at the market price, and again the same amount as subsidies. In the rest of Spain, huge windfall profits were also being reaped, higher in windy regions like the Ebro valley and the Strait of Gibraltar, all the way down to Extremadura, known to have little wind. In that State, when the gates were open to wind developers, over 100 projects were applied for in spite of the poor wind record. None has materialised as the subsidy tap was shut shortly thereafter, but this goes to show the huge amount of taxpayers’ money that has been wasted on highly-inflated subsidies to wind energy – in Spain, but probably also in other countries. The same squandering of taxpayers’ money occurred with other renewable energies, to the benefit of promoters but also to that of politicians, by virtue of revolving door schemes (2). In Spain, where I live, my own estimate is that over 40 billion euros have been paid out as subsidies to renewable energies. The hemorrhage has not completely stopped, because of previous engagements.